Today the United Private Hire Drivers branch of the IWGB union staged a surprise flash demo at TfL's main offices at the Palestra building on Blackfriars Road. 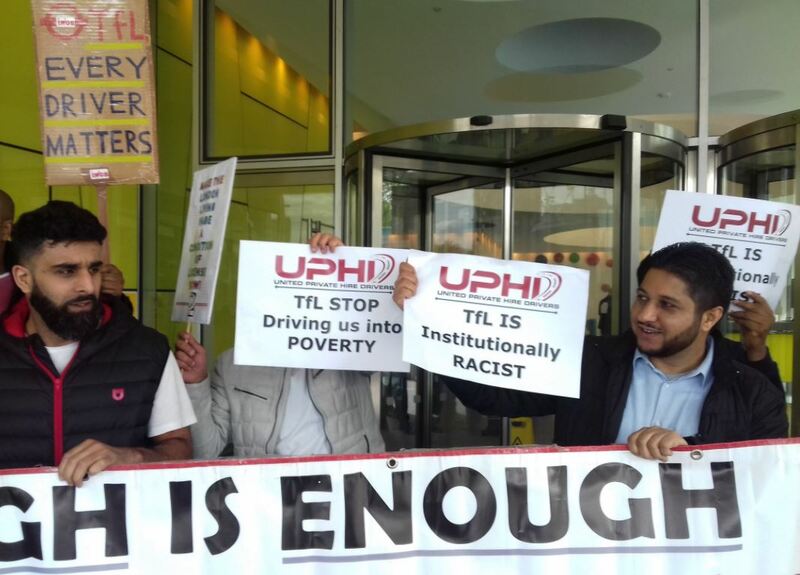 The aim of the protest was to highlight the problem of institutional racism at TfL's taxi and private hire directorate. 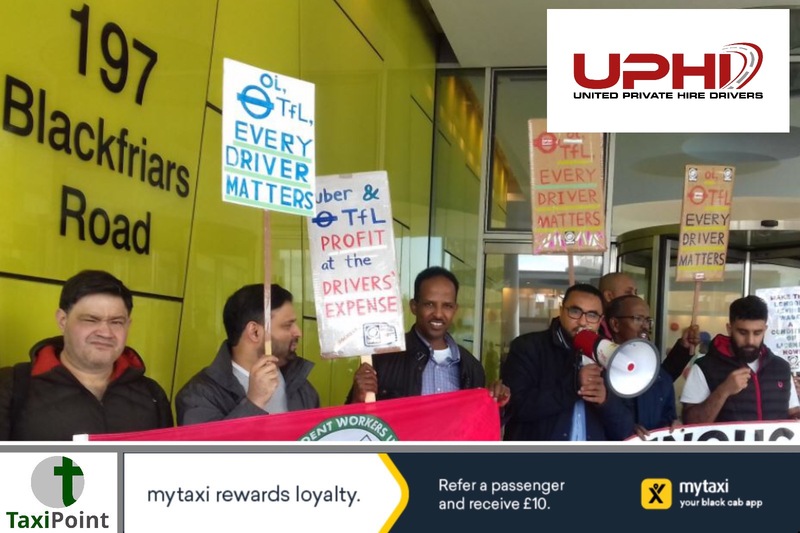 The union says TfL's discrimination against 117,000 mostly BAME minicab drivers blights the development of fair and effective regulation and fosters a culture of accepted exploitation of workers by large operators including Uber, Addison Lee and Green Tomato Cars.